Texting while driving is the most dangerous form of distracted driving. Chris is a car assistant with gesture control and speech recognition. Currently, it speaks German and English. We’re living in a world full of connectivity and frankly, most of us reach out for their phones while behind the wheel. Driving requires full attention, however, 60-70% of people are constantly using their smartphone while driving. Moreover, texting and driving are 6x more likely to cause an accident than driving under influence of alcohol. The founder and CEO of German Autolabs, Holger G. Weiss, found himself often using his phone while driving to the office every day. He felt there wasn’t a solution for drivers of older car models and decided to tackle this issue himself. German Autolabs is a startup based in Berlin that combined the latest voice and gesture control technology with AI to create a smart car assistant. 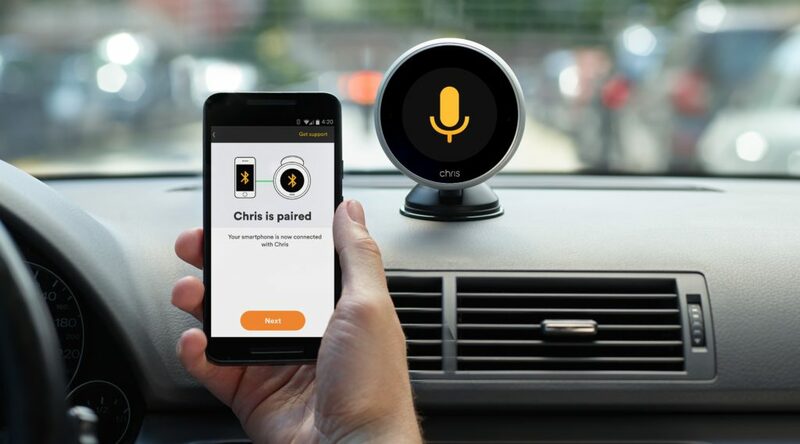 With Chris, drivers can stay connected while keeping their hands safely on the steering wheel. 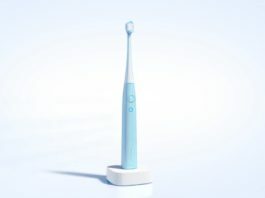 The product comes with a fully integrated navigation system from HERE Technologies. All you need to do is download an app and attach the device to your windshield or dashboard. The Chris app features the internet-enabled cloud-based navigation with the latest traffic information. In late 2018, Chris will also feature an offline navigation. Chris digital car assistant pairing with a smartphone via Bluetooth. The Chris app features the internet-enabled cloud-based navigation with the latest traffic information. In late 2018, Chris will also feature an offline navigation. The car assistant supports voice and gesture control, so you can e.g. increase the volume by simply moving your hand. In addition, Chris can play music, write and read your messages and make calls. 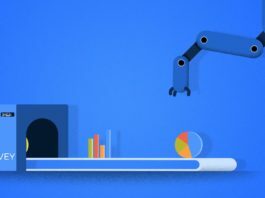 The more you drive, the more accurate the AI will become. 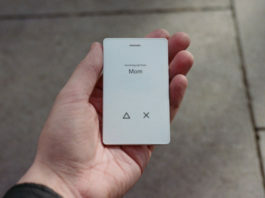 Chris connects to your smartphone via Bluetooth and interacts with your contacts, music etc. Additionally, it is able to connect to 3rd party services like insurance companies or road assistance services. The device retrofits any car and works seamlessly with all modern smartphones. 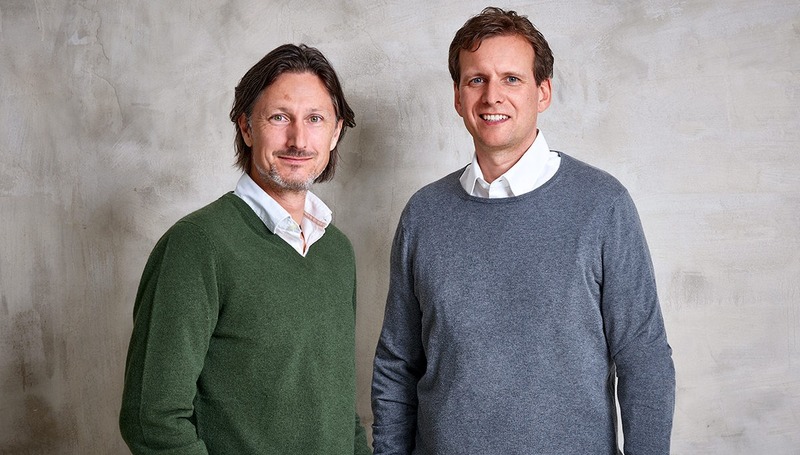 Founders Holger G. Weiss and Patrick Weissert (former Director Consumer, HERE) have both extensive experience working in technology companies. Prior to working at HERE as a Director Consumer, Patrick Weissert held various managerial positions at Vodafone in the fields of global product development and business strategy. Holger G. Weiss was managing director and CEO of Aupeo before founding German Autolabs. In 2013 Aupeo was acquired by Panasonic Automotive Systems of North America. Besides that, he is also an enthusiastic mentor and business angel for young aspiring founders. German Autolabs is currently working closely with car manufacturers to integrate their technology into their cars, expected to hit the road in 2022. “That’s where we bridge at the moment the gap for users and owners of older cars,” said Holger G. Weiss. In the meantime, drivers can purchase Chris on their website and soon also on Amazon.